The FUN 23 is the brain child of French sailor Alain Forgeot and for many years, has been an active one-design class in Europe. Ranger Yachts USA built about 100 FUN 23''s at their Tampa FL plant. 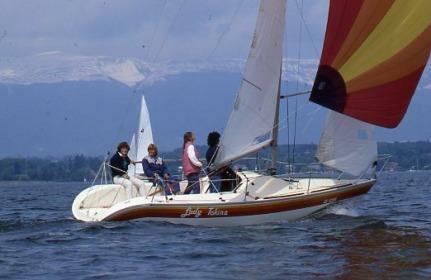 In France, Jeanneau built a few. The FUN 23 has same basic sailplan as the SOLING (but with overlapping jib permitted).